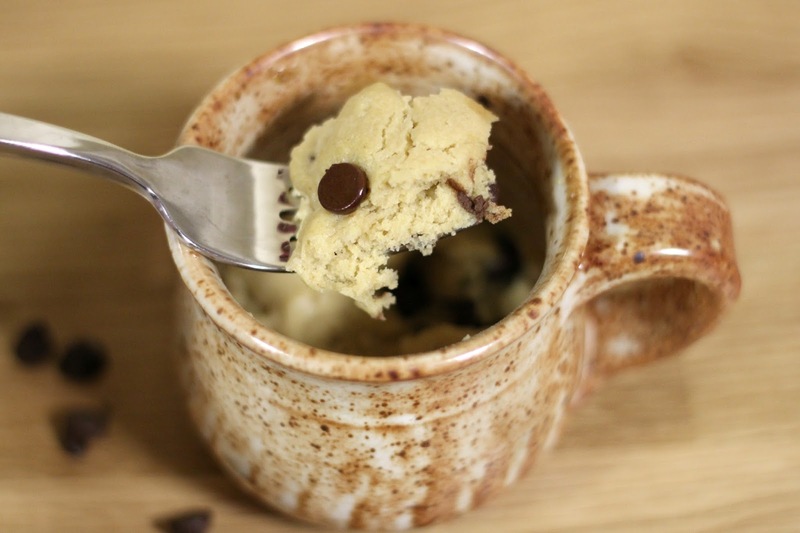 You have probably seen single-mug brownies and cookies on Pinterest before, but have you ever tried to make one? Over the past few years I have tried a few different recipes with no success. This cookie though...this cookie is magic. Melt butter in a mug and stir in sugar, brown sugar, 2-3 drops of vanilla extract, and a pinch of salt. Next, add egg yolk and just under 1/4 cup of flour. Stir well. Finally, mix in chocolate chips. *It may look underdone at first glance, but test it with your fork before microwaving it for any longer. It should be done in 60 seconds and you definitely don't want to overcook it!